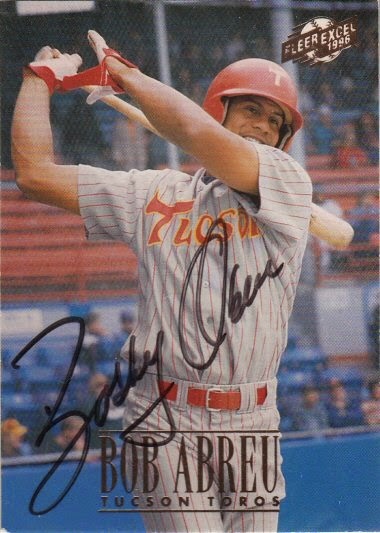 If you've been following along, you might be wondering how I went from Ramon Castro's autograph in 1997 to Bobby Abreu in 1999. I had moved from Florida in the fall of 1997 and spent a little over a year living in Pennsylvania. Unfortunately, the autograph collecting was put on hold during that time. Bobby signed a 1996 Fleer Excel card #169.